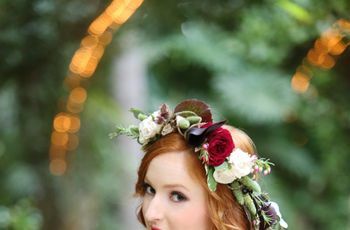 One of the more fun and exciting events leading up to your big day is your wedding hair trial—an appointment with either the hair stylist you’ve chosen or one you might choose and entrust with the all-important task of creating a the best hairstyle for your face shape, and one that fits your style. While, of course, it’s important to make sure you’re choosing someone who is talented and experienced enough to do a good job, many decisions about your bridal look remain up to you. One is what type of style you imagine yourself wearing—be it half-up, pulled back in a chic chignon or down with Hollywood waves. 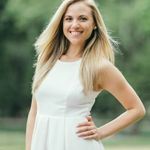 With so many choices to choose from, it can be a bit overwhelming for a bride who’s faced with what feels like dozens of decisions a day in the months leading up to her wedding. To help narrow down your options, we asked top hair stylists to share the best hairstyles for different face shapes. Good news for those with an oval or long face shape: It’s one of the easiest in the book to find a style for. “Pretty much anything will work,” says Angela Kalinowski, owner and stylist at Le Salon in Los Angeles, California. 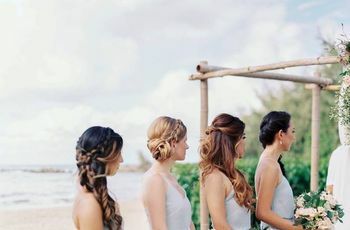 “I just always suggest that my bridal clients choose a wedding hairstyle that’s timeless and classic, like half-up or completely down with some loose waves.” For those with long face shapes, she recommends staying away from the all-slicked-back look in a high bun, as this will elongate the face shape more. Those with a diamond face shape tend to have a more narrow hairline and chin area, with their widest feature being their cheek area. 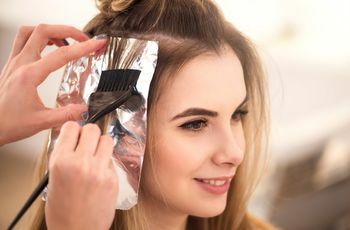 For those hoping to wear their hair down, Daniel Koye, New Jersey-based hairstylist, recommends adding a half-up ‘do with a soft side part and some height—the best hairstyle for this face shape. “Having soft waves in your hair and doing a side messy bun would also give you an amazing look,” he says. This face shape can also pull off an elegant updo. 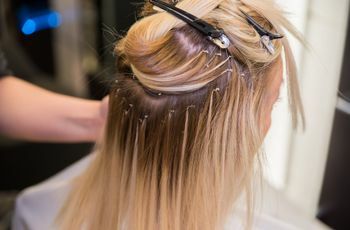 “Whether it’s sleek or a romantically messy chignon, it’s good to have the hair back, but still viewable from the sides of your face or the back of your neck,” adds Anita Sun, hairstylist at Eliut Salon in New York City. Round face shapes can use a little height to add some length to their face. Sun suggests a half up half down look for this face shape which adds length at the top and the bottom. “The best hairstyle for this face shape is to keep the hair sleek behind the ears and the length flowing down the back,” she says. She recommends that those with round face shapes stay away from bangs and layers above the cheekbones, as it can amplify the roundness and create a less balanced look overall. The heart face shape is easy to recognize—the face is longer than wide and the forehead and jawline tend to be about the same distance width. The chin, on the other hand is more tapered and pointed. When choosing the best hairstyle for a heart-shaped face shape, those with heart-shaped faces will want to add some length, so doing a side part and a cluster of curls on the side of the head will make the heart shape look smooth and classic, says Koye. “Parting your hair on the side or even some side bangs will help give you the perfect face shape.” A great, simple, but classic, style he suggests is a French twist. “It continues the jawline and gives a little height to the head." As the name suggests, this type of face shape tends to be the same width all the way down—from the forehead to the jaw, including the chin. For this reason, most rectangular faces look best with hairstyles that are sleek and don’t hdd too much volume. This still gives you a lot of options, from a chignon to a loose pony, or even a swoop to one side. Sun suggests tucking the hair into a sleek bun is probably the safest option for those with rectangular-shaped faces. You could also add a bang—full and straight across, like Brigitte Bardot. This then gives you the versatility to wear your hair down or up, says Danai Schulte, hair stylist and owner of Maven Beverly Hills.